There are many ways to experience Korean traditions and cultures. Like tasting typical food, visiting the Joseon Dynasty court, and attending various traditional Korean festivals. However, it is incomplete if you have not taken pictures while wearing Hanbok. 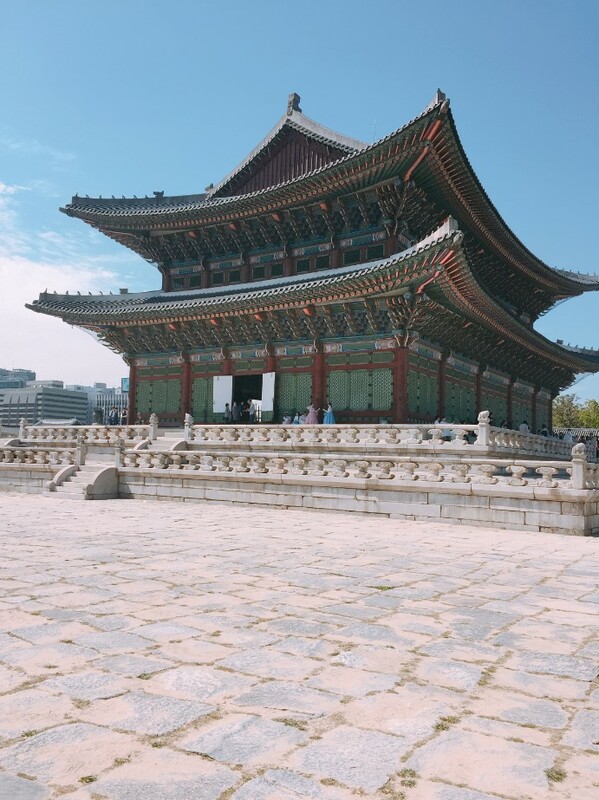 Seoul’s palaces are : Gyeongbokgung, Changdeokgung, Changgyeonggung, Deoksugung, and Gyeonghuigung. Each palace has its own energy and charms. 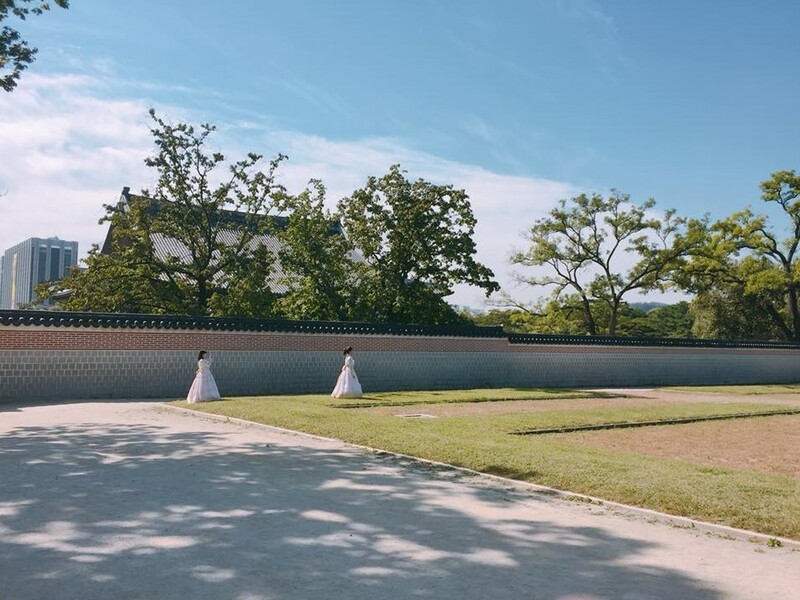 All five palaces waive admission fees for visitors wearing hanbok. The fee is waived for hanbok wearers even on holidays and on special event days. 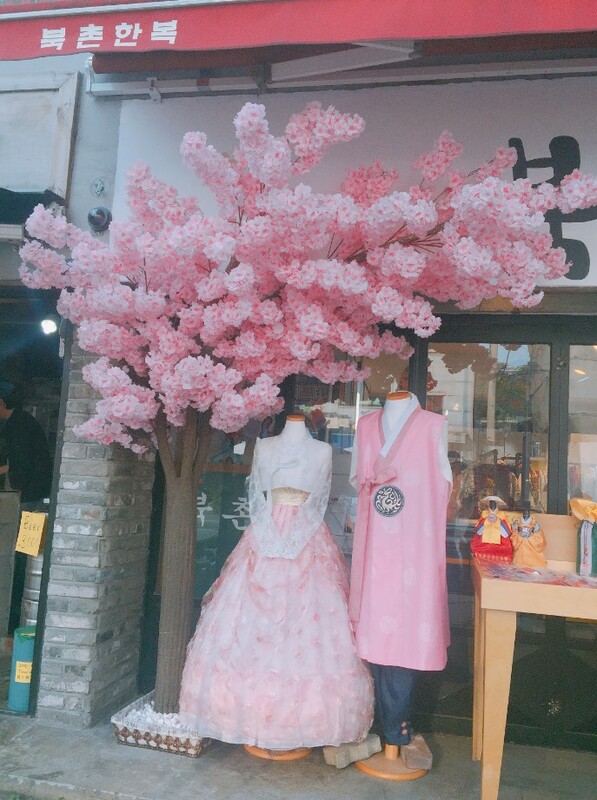 These days hanbok can be rented for a relatively low price. 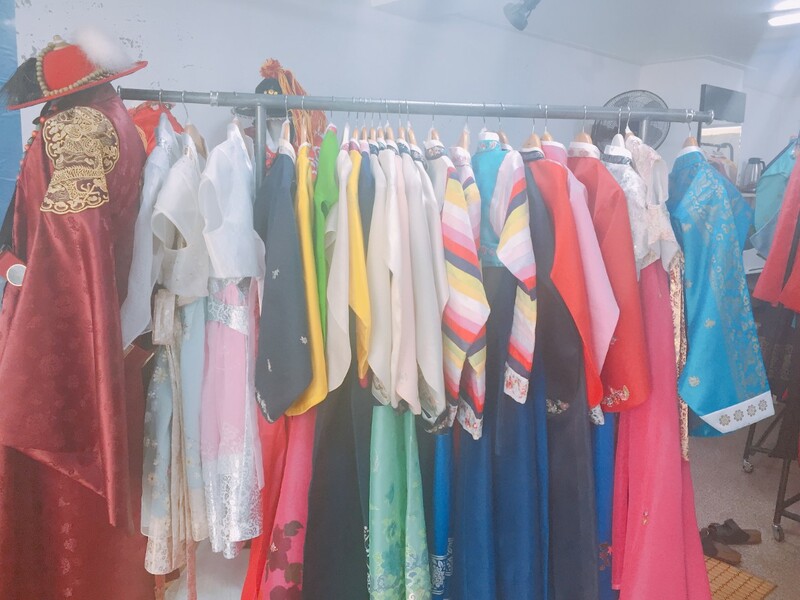 Many hanbok rental studios available near palaces. Hanbok, a traditional Korean dress, has been worn for centuries by the Korean people. In fact, it became a typical Korean icon and still be used on certain occasions. 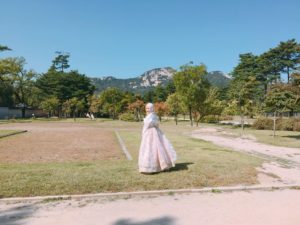 Although Hanbok is generally only used on certain occasions, the popularity of Hanbok continues to increase in the eyes of tourists. Hanbok has various types. Some are used for ceremonial purposes, everyday clothes, and some are grouped by gender, age, and season. Apart from very diverse types, Hanbok design still looks simple and charming. Its eye-catching design with wide size makes Hanbok suitable for everyone, including you! If you are interested and want to use Hanbok in Korea, you can visit some cultural centers in here. Or You can rent and try Hanbok for free. Design, type, and rental fees depending on the selected Hanbok. Hanbok rental studios usually not far from tourist attractions. Each Hanbok rental owner has different rules and price. However, all rental places require you to submit an identity card (passport) and pay a security deposit. The duration of the lease also varies from 30 minutes to all day long. Accessories such as bun and norigae can also be rented separately. Hanbok rentals usually run 4hrs. and cost 13,000~15,000 won. Hair accessories and a purse are included in the hanbok rental price. Fur vest rental is an additional 2,000~5,000 won. Of course, you can choose your favorite designs and colors. However, for better photographs you should choose a bright color like a unified match between the top of a cream-colored pastel jacket with brightly colored skirt. The color of the bright skirt will look prominent, so the images look more alive. 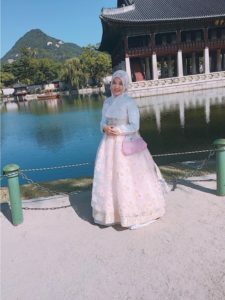 And for muslim traveller, hanbok will look beautiful even with your hijab too. Despite many things that may continue to change, Hanbok remains a beautiful Korean cultural heritage. Not only for its historical value, but also for the distinctive artistic interests of Korea, and will continue for many years to come. This entry was posted in Activity & Local Culture, Spot. Bookmark the permalink.